The WRAP Info Center is the place to look for answers about WRAP. What is the WRAP Info Center? It is a collection of articles, forms, and information all arranged in a logical, searchable library. 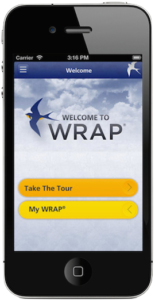 Visit the WRAP Info Center and find out more. 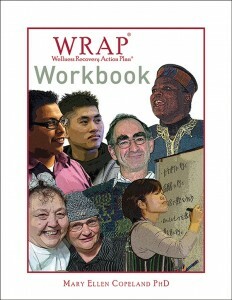 The Bookstore has a comprehensive place to find books, the WRAP App, pocket mini WRAPs , and CD’s and DVD’s for getting started with WRAP, as well as specific content such as WRAP Plus, WRAP for Veterans, Family WRAP, A WRAP Workbook for Kids, WRAP for the Effects of Trauma, and so many more. This is the original red WRAP! This book has everything you need to develop a WRAP, and some recovery topics, too. It has examples, ideas and a very easy to follow format. 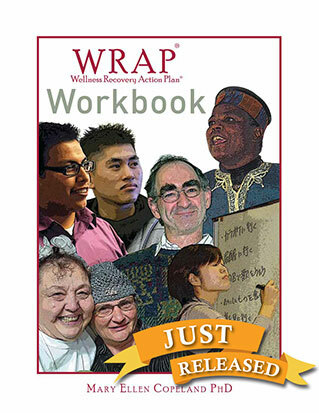 It has been adapted for Veterans, Families, Addiction, Kids, and People with Developmental Distinctions.The red WRAP is also available in Spanish. Creating your WRAP and using it is a huge accomplishment. Many people have found great success when they make it a part of their daily lives. This book gives you ideas and instructions on how to LIVE WRAP on a day-to-day basis. 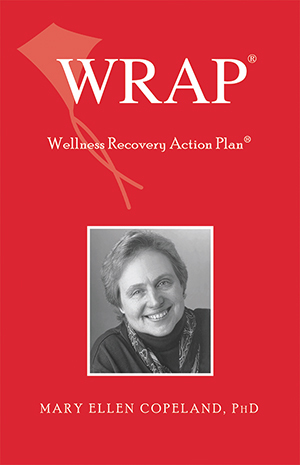 Filled with new ideas for successfully developing, using and updating the popular WRAP for prevention, recovery and wellness. The WRAP APP The WRAP APP, with all the parts of WRAP, also includes sections on Values and Ethics and the Key Recovery Concepts. It makes it convenient to have your WRAP, and especially your Crisis Plan, always with you. E-Learning Courses These interactive courses are designed to increase your knowledge-base about recovery and introduce you to new and exciting skills and strategies. You can take these courses at your own pace — and at the times most convenient to you. The Copeland Center is the world’s preeminent organization advancing the knowledge, skills, and values of the evidence-based recovery practice of WRAP. The Copeland Center is the only organization in the world which conducts the training required to become a certified Advanced Level WRAP Facilitator. This is a way to interact with a wonderful network of people who share thoughts, ideas, stories and more in a safe and friendly environment. Join one of our many Facebook Pages and become part of the wonderful network that continues to grow! Internet groups are a great way to stay connected with people who have the same interests and values. There’s a community out there sharing great information and supporting each other on Linked In . Click here to learn more.